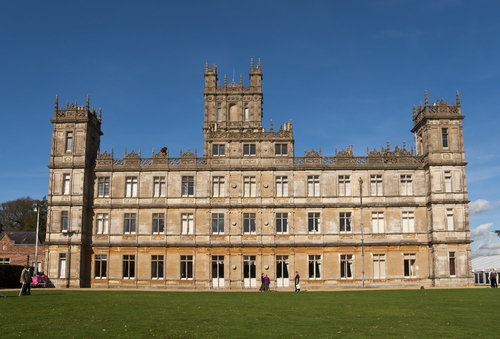 Downton Abbey season four will be all about life after Matthew Crawley’s death. Executive producer Gareth Neame explains what’s next for Isobel Crawley. It was like the ending of Harry Potter and the Half-Blood Prince. Snape kills Dumbledore and the fandom rose up in crisis. No Downton Abbey fan wanted to see their beloved Matthew Crawley, the heir to Downton, leave the show. Especially in such a violent way! I myself was glued to the television, hoping against all hope that my beloved Matthew was not going to go out like this. When it zeroed down to the final minute of the show, Matthew and Mary happily together with their baby boy, I really thought that we might get away. Then that stupid car had to crash in the stupid woods. I will forever by haunted by Dan Stevens‘ blue eyes staring blankly up at the camera. Now that we’ve relived that horrible day, that we will continue to relive for the rest of time, Lady Mary is moving on with her life. Or at least moving into season four. She’s got a new babe and a full house at Downton, but the one person she wants most isn’t there. The one person Lady Mary might find Matthew’s comfort in would be his mother, Isobel Crawley. The latest that the show’s producers are giving us is of course about the one character we forget, cousin Isobel. Excuse me for being too focused on Tom Branson and Lady Mary. The Isobel we know and appreciate is a dedicated mother and nurse, selfless almost to a fault. With her son gone, this next season will be a period of mourning for Isobel. Don’t hold out any hope for Isobel and Dr Clarkson either. Neame said that ship has sailed and no member of the crew will be found again. In the meantime, can we think about some happier times?